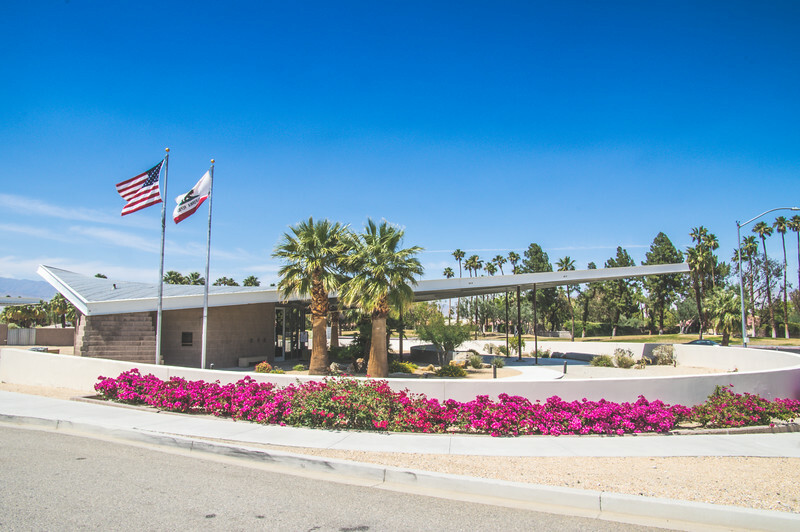 Visiting Palm Springs has been on our California bucket list for a long time, ever since we learned the city plays host to some fabulous Mid-Century Modern architecture. While on a recent weekend retreat in nearby Idyllwild, California, we decided to take a day trip to Palm Springs to see for ourselves. 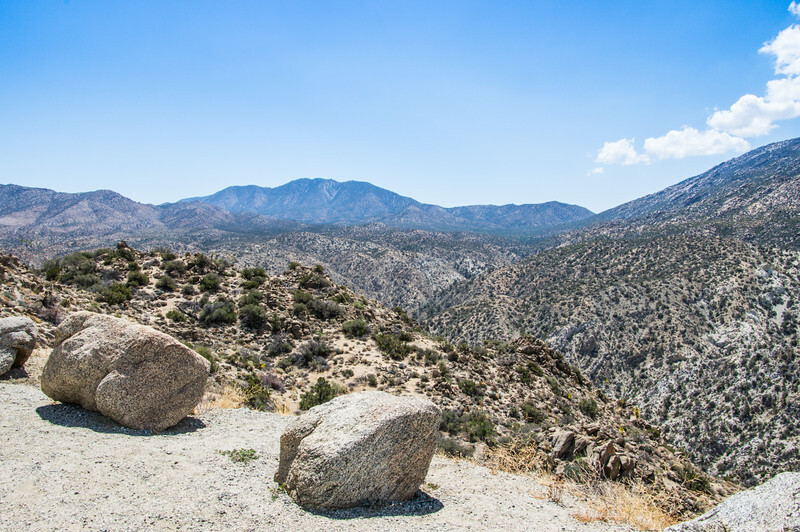 The drive from Idyllwild to Palm Springs is a popular scenic drive. 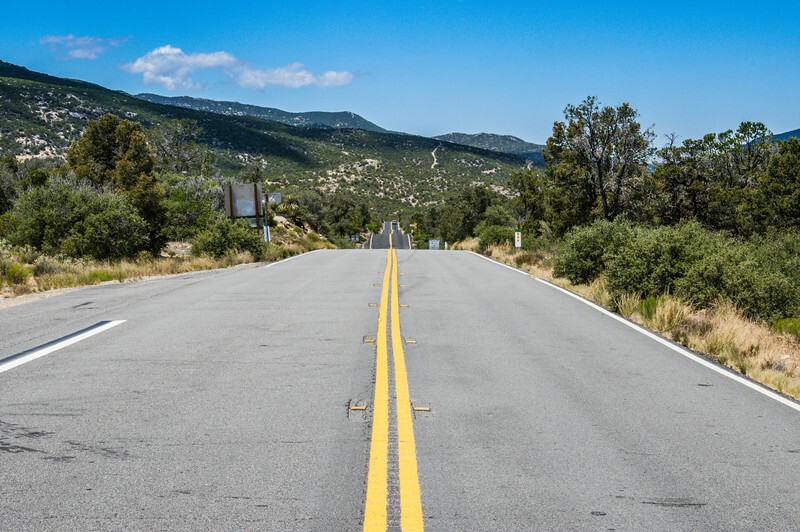 CA State Route 74 is an excellent example of the iconic California road trip. The highway is known as the Pines to Palms Highway for a good reason. The drastically changing landscape showcases the drama of California's terrain. Tall pines, underbrush and trickling streams give way to lunar-like landscapes of dust, cacti, and boulders. Twisting and turning along Hwy 74 also proved to be fun for The Professor. He took advantage of the sharp turns and switch-backs, handling his sports car with finesse. 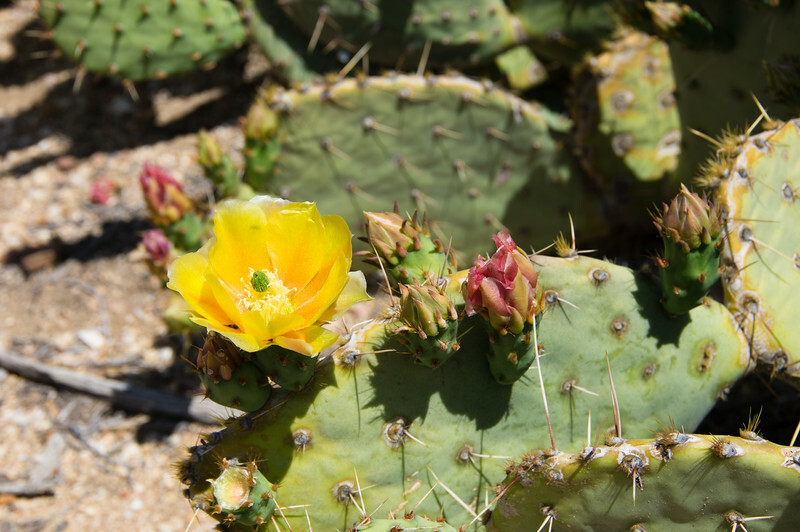 We stopped a few times along the way to explore, finding blooming cacti and scenic overlooks that gently whisper "California." Rent your own convertible BMW! 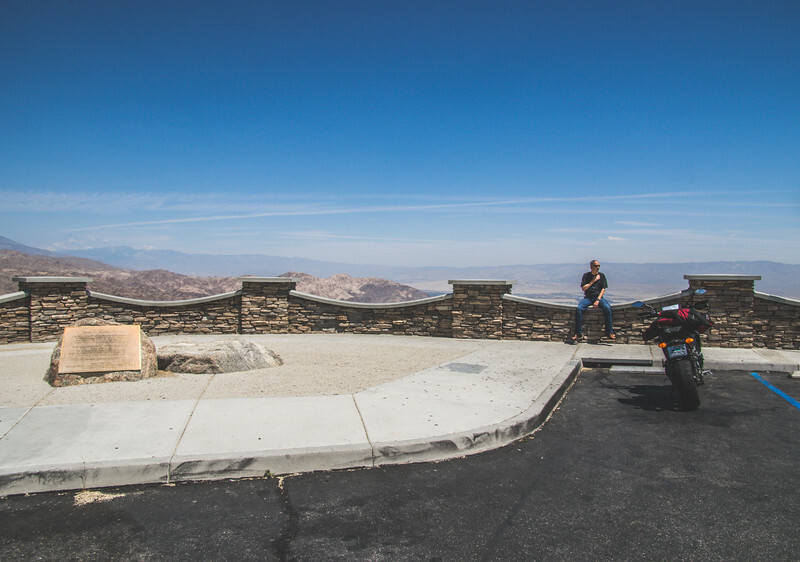 The Coachella Valley Vista Point provided us and several others with stellar views of the Coachella Valley below. I found myself looking down wishing we could come back at night just to witness the desert light up in the setting sun. 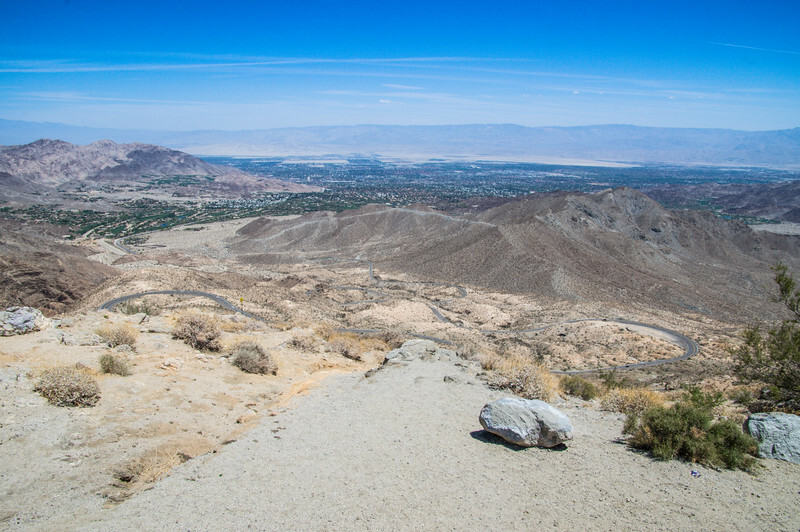 From the scenic overlook, you can see Palm Desert and Palm Springs sprawl out along the snake-like highway. By the time we made our way into Palm Springs, we quickly realized we had made a mistake. We'd left 60-degree temperatures far behind in Idyllwild, but we hadn't left our warm clothes. The temperature gauge read nearly 90 degrees, a little surprising considering it was only May. The desert doesn't care what you wear, my friends, so dress appropriately. Our first stop was one we hadn't planned or even thought of when we thought of visiting Palm Springs. In fact, I'm not sure how we even arrived in a quiet residential neighborhood at the corner of Granvia Valmonte and N Arquilla. But one quick glance told us exactly we were outside the Robo Lights Sculpture Garden, otherwise known as the family home of Kenny Irwin, Jr. 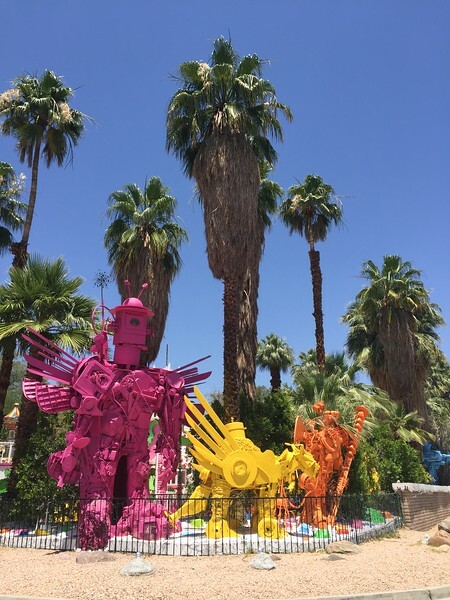 Giant dinosaurs and robots adorn the lawn, while colorful towers of junk just behind the fence. Tours of the magical world of Mr. Irwin are available, but we opted to move on in search of the Mid-Century Modern architecture we came to see. Finding Mid-Century Modern architecture in Palm Springs wasn't hard. There are stellar examples of the style on just about every street. Knowing that we wouldn't have much time while visiting Palm Springs, we'd done a little research to find a few must-see homes and buildings. We just wanted to get a taste of what visiting Palm Springs has to offer for Mid-Century Modern lovers. 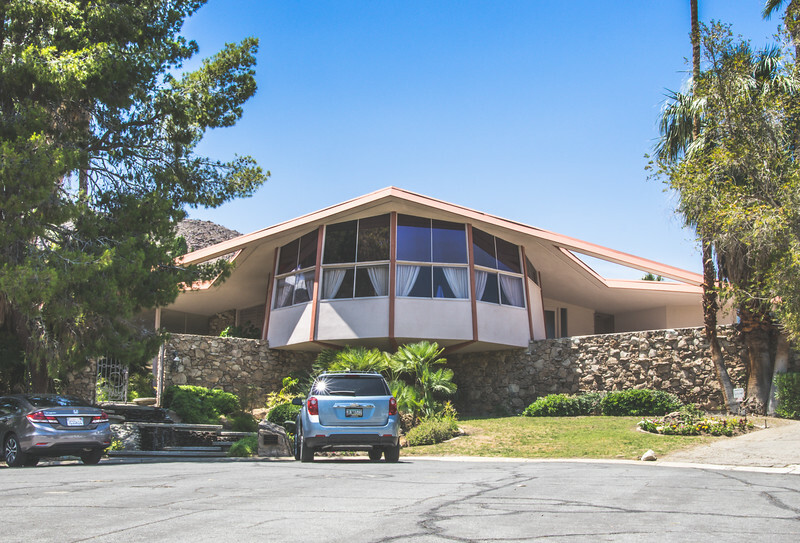 In preparation for our day trip to Palm Springs, I'd found a self-guided tour online at mid-century-modern.net, as well as a turn-by-turn tour at GPS my City. Using the guides we spent the day exploring Hollywood's Playground, driving past the former homes of stars like Marilyn Monroe, Elvis Presley and more. The more we explored, the more apparent it became that Palm Springs is the Mid-Century Modern Mecca. By the time we finished our tour we knew we'd be back for more. We ventured into the city center for lunch, determined to find something uniquely, Palm Springs. After walking for a while along Palm Canyon Dr, we settled on a little sandwich spot with good reviews and a line stretched out of the door. The Sandwich Spot was unassuming, poorly air-conditioned and chaotic. But one bite of my sandwich, and it was all worth it. 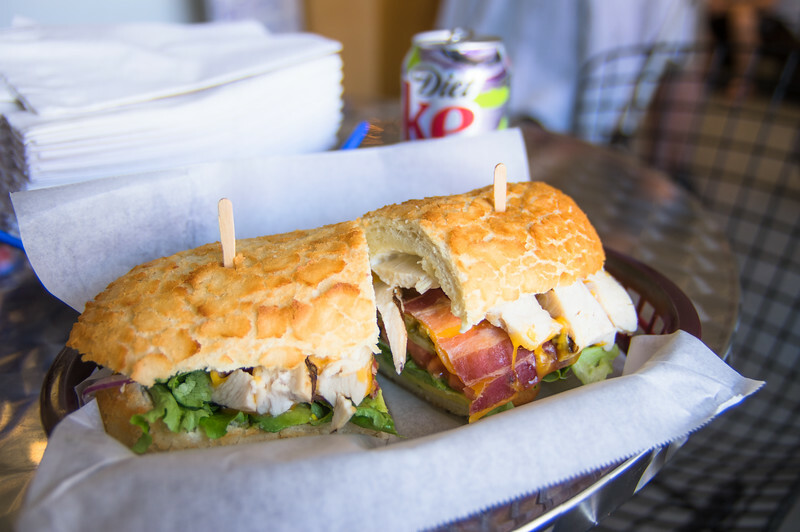 Deceivingly simple, the menu offers over 25 specialty sandwiches including a make-your-own option. After what seemed like forever I eventually decided on the Dinah, a chicken/bacon/avocado on freshly-made Dutch Crunch bread. Trust me when I tell you to look past the line for what was truly an amazing dining experience. I highly recommend the Sandwich Spot for any sandwich lover. With the heat beating down on us, we searched for shops and galleries to escape the sun. One that stuck out was the Nat Reed Gallery. 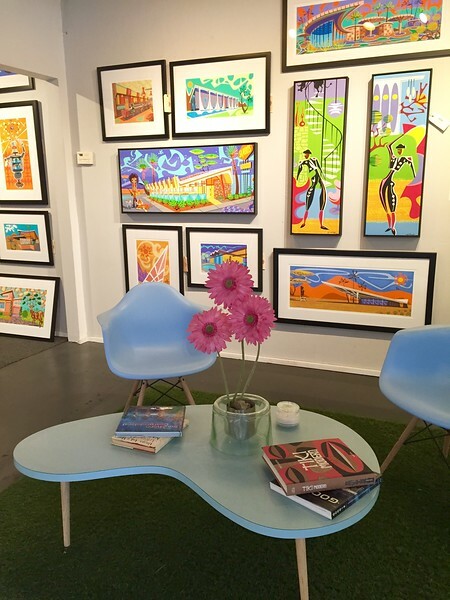 Sticking with the Mid-Century Modern theme, we wandered into the brightly lit space and soon found ourselves ogling over the colorful art of Nat Reed. Reed's Googie style is entertaining, conjuring a time when outer space, tiki, and TV trays were mainstream. We lingered a little longer over the playful pieces, enjoying the air conditioning and the art equally. After finding our way back to our car, we set out to explore a few more Mid-Century Modern attractions on our way out of town. The Bank of America building and the Washington Mutual Building drew us in, forcing us to take a few detours to circle back around for better views. We headed out of town with one final stop to make, having saved the best for last. 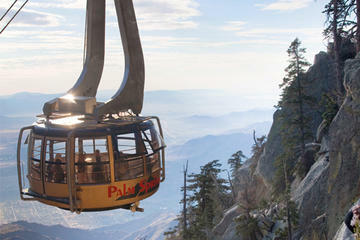 Our fill of desert heat and Mid-Century Modern architecture, we set off to return to Idyllwild for the night. As the palm trees disappeared in the rearview mirror I was already planning a way to return to Hollywood's Playground for more Mid-Century Modern fun. Tip: Begin your visit at the Visitor's Center. Pick up your copy of the Map of Modern Palm Springs, a value at only $5. 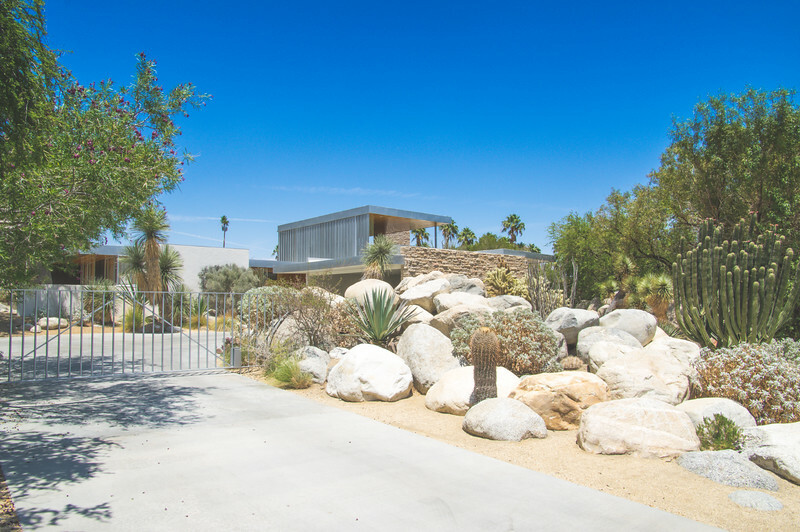 The map features over 80 homes and buildings and was created by the Palm Springs Modern Committee, who work diligently to preserve the best of Palm Springs Mid-Century Modern architecture. Don't want to stop for the map? Then check out the app! Exploring California is one of the best parts about living in Los Angeles. Be sure to check out all my California adventures to get some inspiration for your Cali vacation. If you like this post, then be sure to sign-up for my newsletter below. You'll stay up-to-date on all my latest articles & partnerships, plus get a behind-the-scenes look at my blog. Enter your information below now to get instant access to my latest freebie.